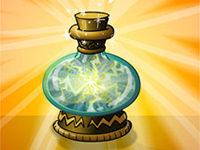 Stat increasers are special items on Neopets with the ability to change a pet's battle stats. While some may be purely beneficial, others may reduce your pet's battle stats in certain areas. Below you will see a table containing all items we know to effect stats broken down into several different categories depending on what its use is. If you have information we are missing please submit a bug report. Notes: Given away for free in the NC Mall in July 2014. Notes: Given away for free in the NC Mall in July 2015. Notes: Only once per pet.